One of radio’s most famous plays, Suspense’s “Sorry, Wrong Number,” comes to 97.9 WHAV FM next Friday night. 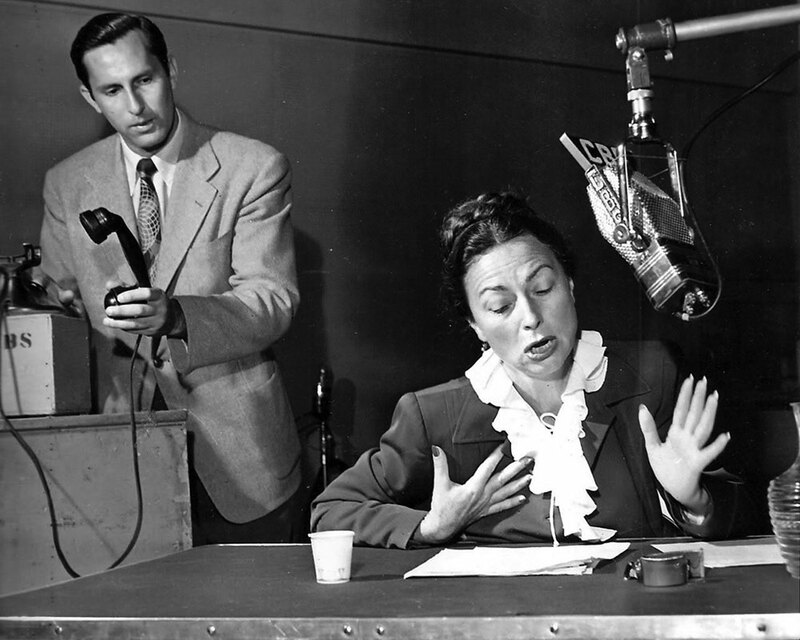 Opening the 16th year of CBS’ “Suspense,” the 1957 version was the second to last time it would air on network radio. The story was written by Lucille Fletcher for the radio series in 1943 when she was married to CBS’ staff conductor Bernard Herrmann. The 1948 movie version starred Barbara Stanwyck and Burt Lancaster. The last television version aired in 1989, starring Loni Anderson, Carl Weintraub and Hal Holbrook. In 2014, the U.S. Library of Congress inducted the original “Suspense” broadcast into its National Recording Registry. “Each year, the National Recording Registry at the Library of Congress chooses 25 recordings showcasing the range and diversity of American recorded sound heritage in order to increase preservation awareness. The diversity of nominations received highlights the richness of the nation’s audio legacy and underscores the importance of assuring the long-term preservation of that legacy for future generations,” according to the library. “Sorry, Wrong Number” airs Friday night at 10, with an encore performance at 1 a.m.
Gunsmoke: Big Con; Haunting Hour: “Ptolomey’s Grave,” 10 p.m. and 1 a.m.
Yours Truly Johnny Dollar: “Man Who Waits Matter;” Box 13: “The Better Man,” 10 p.m. and 1 a.m. Suspense (new series): “The Corpse and the Kid;” Suspense (classic): “Shadow on the Wall,” 10 p.m. and 1 a.m.
Dimension X: “And the Moon Be Still as Bright;” Suspense (classic): “Vamp ‘til Dead,” 10 p.m. and 1 a.m.
Great Gildersleeve: Grace Vies for Gildy’s Attention; Suspense (classic): “Misfire,” 10 p.m. and 1 a.m.
Our Miss Brooks: New Girl in Town; Suspense (classic): “Well-Dressed Corpse,” 10 p.m. and 1 a.m. Couple Next Door: Betsy Speaks Swahili; Suspense (classic): “Sorry, Wrong Number,” starring Agnes Moorehead, 10 p.m. and 1 a.m.
Gunsmoke: “Print Asper;” Haunting Hour: “A Corpse There Was,” 10 p.m. and 1 a.m.
Yours Truly Johnny Dollar: “Man Who Waits Matter;” Box 13: “The Professor and the Puzzle,” 10 p.m. and 1 a.m.